Our library of HR publications spans a wide range of topics, including employment law, FMLA, FLSA, wellness, ADA, and more. Employment law regulations can be complex and confusing. The J. J. Keller® Compliance Library offers publications to help simplify your biggest compliance challenges, including FMLA, ADA, FLSA, HIPAA, and other human resources laws. Find out exactly which regulations apply to your company. 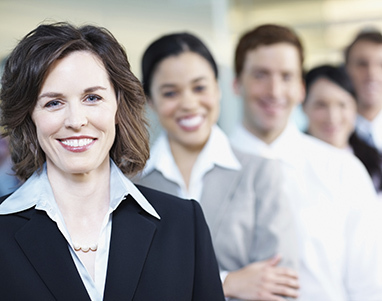 Critical human resource best practice tips and real world applications. Stay current on industry news and regulatory updates. 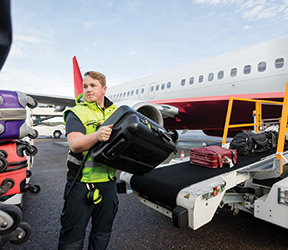 A major national airline has agreed to pay $2.3 million to a class of nearly 44,000 job applicants after failing to adhere to the background check processes outlined in the Fair Credit Reporting Act (FCRA). The FCRA requires employers to provide applicants with a “clear and concise” disclosure of their rights under the law. In addition, that disclosure must be provided in a standalone document. It’s the standalone document portion of the law that continues to trip up employers. For example, a mega retailer recently settled a similar class action for $3.7 million, and a major snack-foods brand settled for $2.4 million. Though the airline made an effort to inform applicants of their rights under the FCRA, it erroneously included additional, unrelated information in the document. It also failed to meet the “clear and concise” stipulation, requiring applicants to read the law itself in order to understand their rights. Key to remember: Employers must provide applicants with a simple, easy-to-read disclosure of their rights under the FCRA — and the disclosure MUST appear in a standalone document. At review time, do you under- or overrate employees? 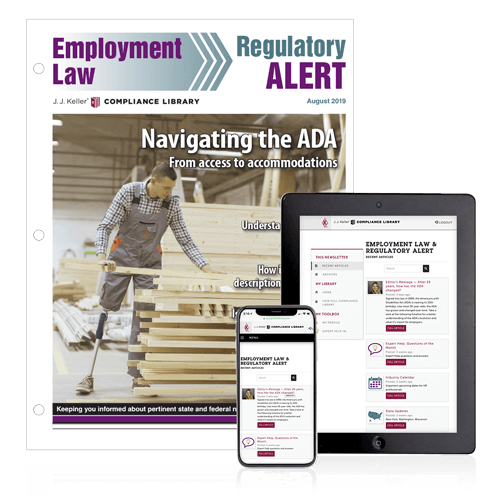 The Employment Law & Regulatory Alert newsletter helps you stay current on critial HR news, compliance information, and best practices. This quick-read resource — developed by our trusted team of in-house regulatory experts — explains why you need to care, what you need to do, and how your business could be affected by industry hot topics. Click here to try this newsletter for free or view our full library of HR compliance publications. Our Expert Help feature gives you access to J. J. Keller’s in-house compliance experts where you can privately and securely ask your toughest compliance related questions and receive an answer back within one business day. Expert Help is like having your own compliance assistant at your fingertips.